Born in southeast London and educated at Haberdashers’ Aske’s Hatcham School, on leaving school John Martin trained with the Ordnance Survey, before managing the drawing office at the Exploration Division of BP while continuing his education as a part-time student. He resumed full-time education at Bristol University (BSc Geology, 1972), later obtaining the Diploma of the Museums Association (1976) and a Post-graduate Certificate in Local Government Management from Leicester University (1995). After graduating from Bristol John moved to what was then Leicester City Museum, in one of the ‘graduate trainee’ positions by which Leicester, under Patrick Boylan (President 1981-82) made a significant contribution to the professionalism of curatorship in the UK. The 1974 Local Government reorganisation created the Leicestershire Museums Service. John became Keeper of Geology during a decade of (relatively) generous funding; one consequence was the opportunity to develop theories of exhibition planning and design (based on research on the psychology of learning, and the model of the US National Park Service) that could be put into practice here in a full programme of permanent and temporary galleries. Leicestershire Museums earned a reputation across the UK as the place where design and interpretation were first brought together to make exhibitions that communicated with their audiences – in a way that, 30 years later, all museums and visitor centres have to do to secure financial and political support. John’s university degree, particularly his specialisation in vertebrate palaeontology, made this innovation easier in practice, thanks to the enthusiastic engagement of museum visitors with dinosaurs, fossils and minerals. The other piece of good fortune was the ‘rediscovery’ in the museum store of the unexcavated skeleton of the ‘Rutland dinosaur’. Its preparation, description and eventual display led the geology section at the museum to specialise in the palaeontology of Mesozoic reptiles, with (by the later 1980s) a team of four curator/researchers preparing and publishing on fossil specimens from museum collections across the country. Under John’s Keepership Leicester Museum also played a leading role in geology curation (foundation here of the Geological Curators’ Group) and (with the Leicestershire Trust for Nature Conservation) the recognition, conservation and management of geological sites of scientific and educational importance (a scheme subsequently adopted nationally). As the 1997 version of Local Government reorganisation approached, the successful county-wide museum service was seen by politicians as a desirable asset, and it was split between the new County and City Councils. John became managing curator of Leicester Museum and Art Gallery (‘New Walk Museum’), overseeing, among other things, the celebrations for the 150th anniversary of its 1849 foundation. In 2001 John left the Museum, where priorities were changing, to pursue his main interest in exhibition interpretation and design full-time by joining the Leicester-based Haley Sharpe Design Ltd., internationally one of the leading museum design companies. This enabled him, over the next six years, to take ‘the Leicester way’ of doing museums and exhibitions to all corners of the British Isles, as well as the Middle East, Canada and the USA – where, in a satisfying circularity, he worked on several National Park Service projects and returned the favour of the inspiration he had gained from that organisation at the beginning of his career. 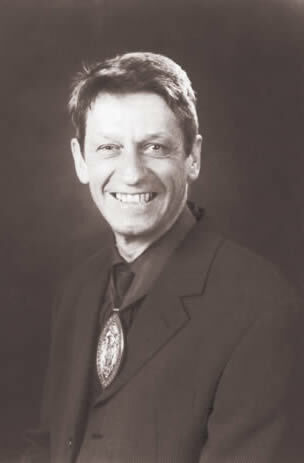 After ‘partly’ retiring in 2007, he continued to work as a museum and interpretation consultant, and maintained his connection with Leicester Museum.